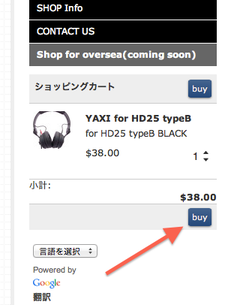 2,You will see your shopping cart under the table of contents on the left side of the page. 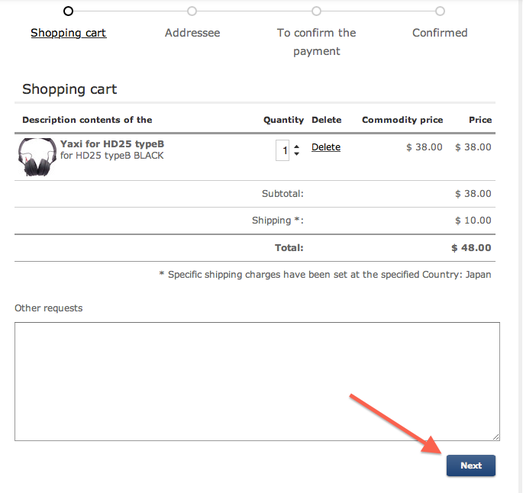 3,You will see the detailed information about the product you are going to buy. 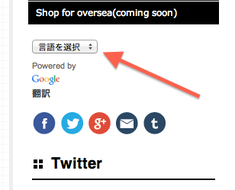 4,You can use Google Translation on the left side of the web page, to translate Japanese into English. 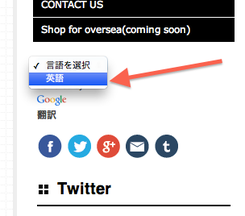 5,If the detailed information is correct, press the button“next”to go to next page. 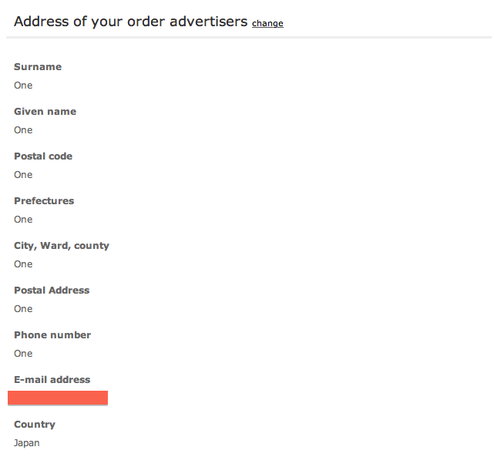 6,Fill your name,post code,address,phone number and Email for goods delivery need. 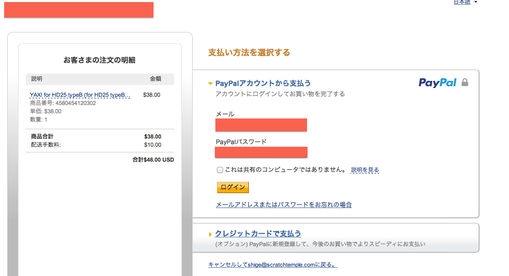 7,After filling in all the information, press the button“next”to go to the page for payment. 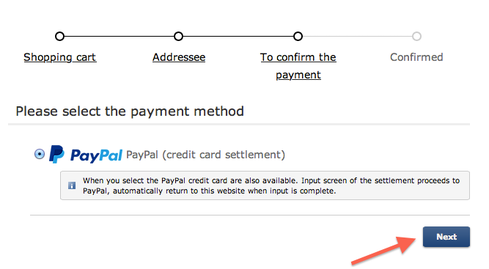 Now we only accept Paypal, choose it and log in your PayPal page. 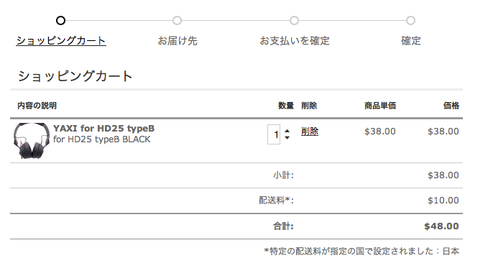 8,Check your order and all information are correct. 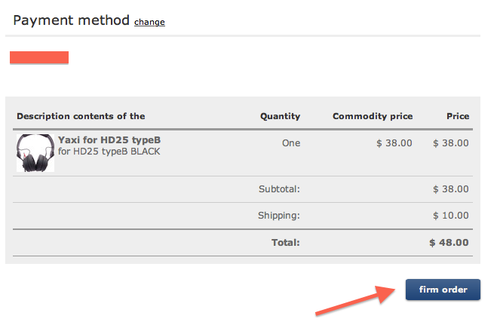 9.Press the button“firm order”,then the purchase is done. You will receive an Email about your order and your goods will be sent out by International e-packet from Japan Tokyo in 7-10 days. 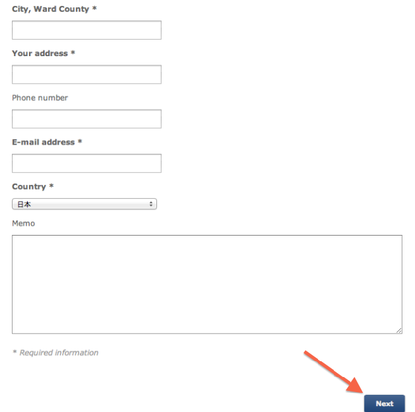 Please feel free to contact us if you have any question. Thank you!